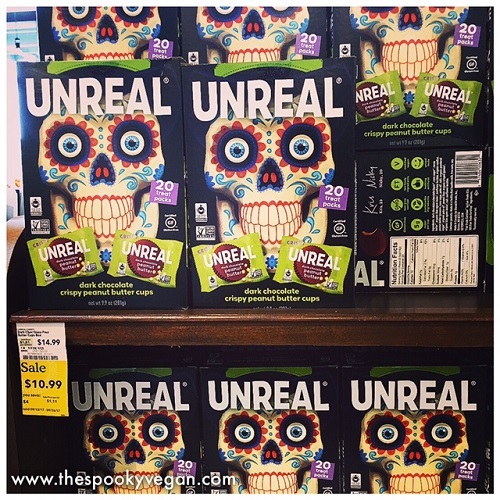 First off, they had Unreal's Dark Chocolate Crispy Peanut Butter Cups (the dark chocolate is vegan, just stay away from the milk chocolate version). These PB cups are heavenly, made with fair-trade chocolate, are vegan, gluten-free, and non-GMO! There are 20 individually-wrapped cups in a box, which costs $14.99 (though they were on sale for $10.99 when I was there), which is a bit pricey, but seriously they are so good the cost is so worth it! They also had Wholesome lollipops, which are vegan and organic. Plus, you get 30 lollipops for only $4.99 (or $3.99 on sale! ), which is a pretty awesome deal for organic candy. 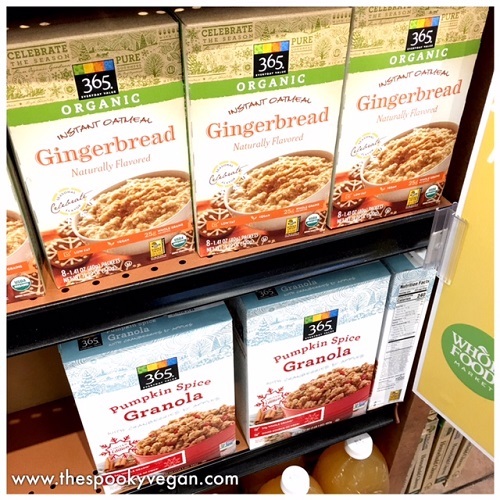 I haven't tried these yet, but I almost bought them based on the adorable ghost packaging. 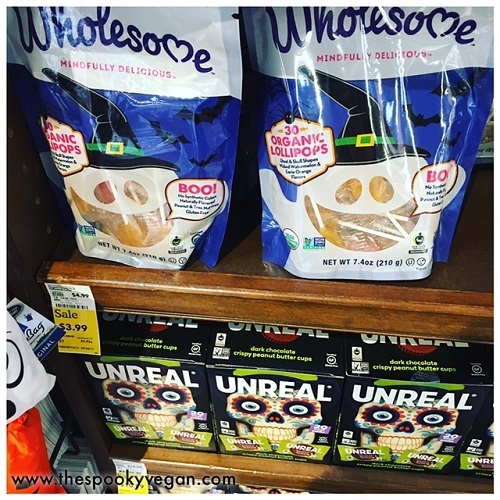 These were the only vegan candies they had out when I visited, but I'm sure they will have more...I'll keep you updated if I spot any more vegan Halloween candy at Whole Foods. 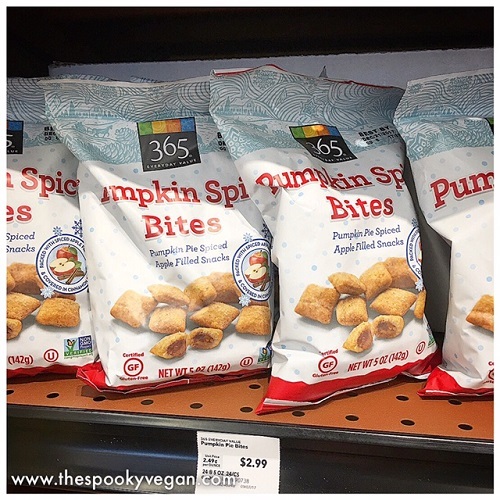 These Pumpkin Spice Bites are accidentally vegan and so addicting! 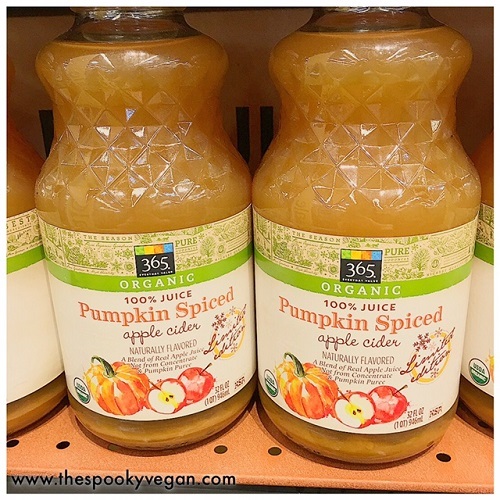 Pumpkin Spice Apple Cider is always a winner! 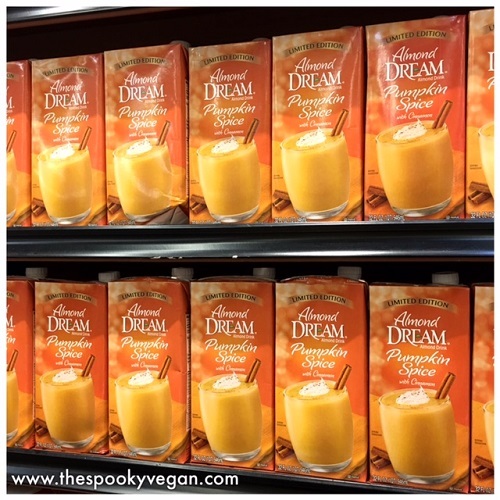 coffee or make a tasty pumpkin spice drink with! 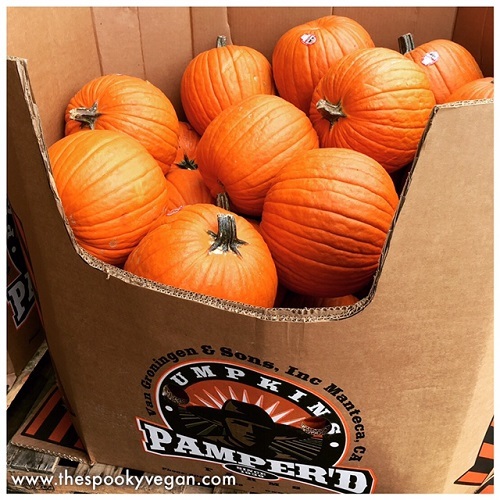 I'm expecting lots more vegan Halloween candy and vegan pumpkin items to hit Whole Food shelves throughout the season - stay updated on the latest and spookiest by following me on Instagram, Twitter, and Facebook.